Mike Winters and the other members of the Manheim Township School Board of Directors were recently recognized for the time and effort they put into helping Manheim Township schools and for devoting on average 20 hours a month to their work on the Board. 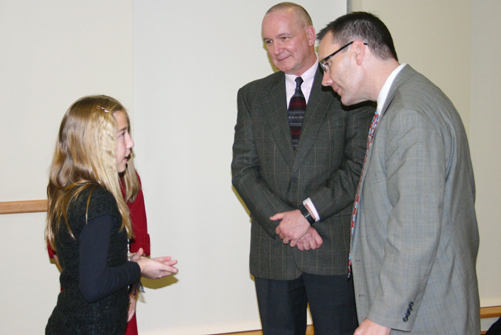 During the January School Board Meeting, student representatives from each of the Manheim Township schools visited with their board buddy to thank them for their dedication and commitment to Manheim Township schools. Mike is shown in the photo speaking with representatives of the Neff Elementary Student Council.